Due to provisions of penalty on non-maintenance of minimum balance, the State Bank of India has closed 41.16 lakh savings bank accounts between April 1, 2017, and January 31, 2018. 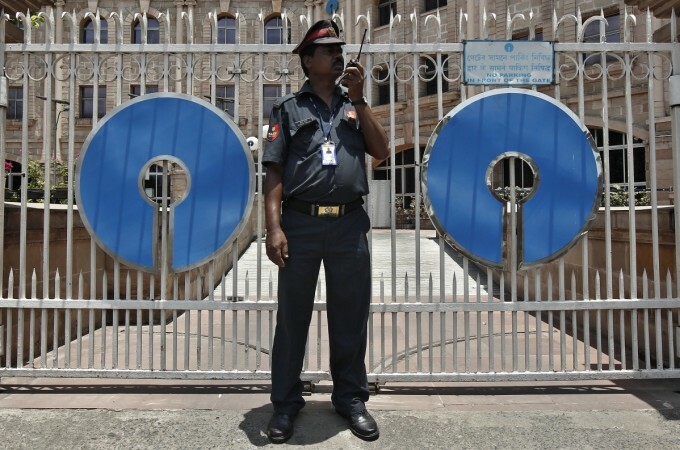 SBI closes 41.16 Lakh savings accounts: Is your SBI account safe? State Bank of India had closed 41.16 lakh savings accounts between April-January, 2017-18 for not maintaining the average monthly balance in the current fiscal year. This was revealed through the bank's response to a Right to Information query on Tuesday. "Due to provisions of penalty on non-maintenance of minimum balance, the bank has closed 41.16 lakh savings bank accounts between April 1, 2017, and January 31, 2018," the bank replied to an RTI query filed by Chandra Shekhar Gaud from Neemuch in Madhya Pradesh, reports news agency PTI. The reply was to the query on the number of accounts being closed after introduction of charges on non- maintenance of minimum balance from April 1, 2017, the report added. This report comes on a day when the State Bank of India has reduced the penalty charges for non-maintenance of Average Minimum Balance (AMB) in savings accounts by up to 75 percent effective from April 1, 2018. In Semi-Urban centers, the charges for non-maintenance of average minimum balance have been reduced to Rs 12 plus GST from the earlier Rs 40 per month plus GST. In rural centers charges for not maintaining AMB is slashed to Rs 10 per month plus GST from Rs 40 per month plus GST. In the metro centers, it is trimmed to Rs 15 a month and taxes from the earlier Rs 50 per month plus taxes. At present, the minimum average balance (MAB) is Rs 3,000 for metro cities, Rs 2,000 for semi-urban and Rs 1,000 for rural areas. Failure to maintain a minimum balance in accounts attracts a penalty. In 2017 April, SBI April 1, 2017, the bank had reintroduced the MAB charges after a gap of five years. Later, as it received strong criticism from customers, the bank reduced the charges with effect from October 1. According to a finance ministry data released in January this year, during April-November 2017, the bank has netted a windfall of Rs 1,771.67 crore from customers for non-maintenance of monthly average balance in savings accounts, this amount is more than the bank's second-quarter profit. Also, the state-run bank has faced public backlash for netting profits over the penalty fees. How to check the status of your SBI bank account? If you have enabled internet banking, you can check whether your SBI account is valid or not by log into www.onlinesbi.com. Also, customers can visit any SBI branches for checking the status of their SBI account.